Vanessa Hudgens has so far been immune to the disease that has struck so many Hollywood starlets in the past. In spite of a few underage leaked racy photo scandals, the girl has grown up and is happy and healthy, seemingly drug free and doing well. In between films, this young actress loves to get down with friends at music festivals. Now known for her carefree festival style, she likes to dress more like other concert goers than like a glammed up celeb. Even with ripped jeans and casual T’s, she still manages to stand out because of her accessory choices. 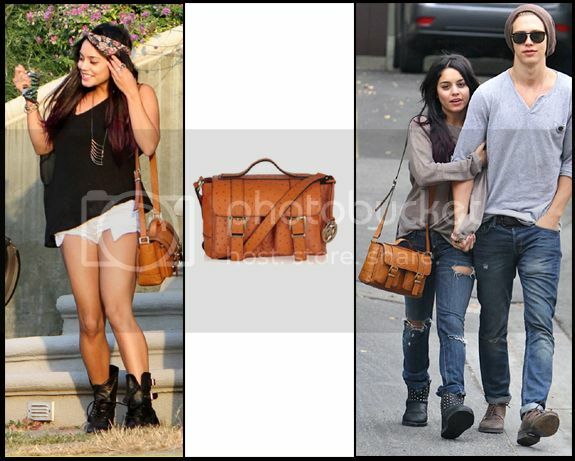 Here her Michael Kors satchel lends her a little glamour and saves her from looking too grungy. What do you guys think about the guy on her arm? Is he hot enough for the former Disney star? With a former flame as good looking as Zach Efron, any future boyfriend looking to date Vanessa has big shoes to fill!